It was the beginning of a 6 month training plan, calling for nearly 1,000 total miles of running and Big Sur International Marathon wasn’t even a blip on my radar yet. As I considered the rigorous training schedule, I looked up and peered out of my window to see snowflakes lightly falling onto the street and sticking to cars. It was going to be a challenge to train through the Boston winter, a challenge that many of you have undertaken as you prepared to run Boston, Providence and Big Sur marathons alike. We ran in sub-freezing temperatures. We ran through blizzards and sideways blowing snow. 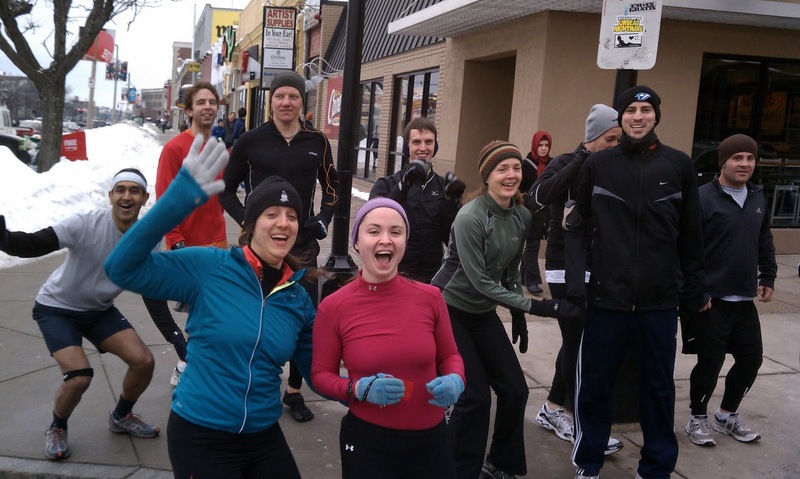 We ran on icy paths, unshoveled sidewalks, and slippery streets. We ran up hills and in the rain. We ran because we knew that in a few months, we would have to attempt the monumental task of running a marathon. In the dead of winter, training became difficult. Tuesday nights, it was hill workouts up Summit Ave. (Corey Hill) in Brookline with Galen, Richard and a few others. Thursday nights were scheduled group runs in the Newton Hills with Martin, Kaipo, Amanda, Ann and sometimes peppered in with runners from all the different charities training for Boston. The cold temperatures during this time were something to note. I specifically recall receiving a phone call one late morning from a friend who was also training for Big Sur saying she thinks she may have gotten frostbite earlier that morning. It was 9 degrees F apparently, along with her water bottle freezing on her 9 mile run at 5am, so did her body apparently. I feel your pain. The bitter cold gave way to rain and wet, slushy sidewalks. Saturday’s at City Sports had been one of the only group runs that could motivate me to train through this dreary time since it was usually sunny, although still cold on Saturdays. With the Hyannis Half Marathon and Eastern States 20 miler in the rear-view mirror, there was only one race left on the horizon and it was fast approaching. People seemed to be really interested in tapering as I began to lessen my mileage. I would routinely get questions like, “how’s your tapering going?” as if it were to be some scary, monumental task. I figure that tapering may have this perception because of all the hours spent running during the last few months should in essence make not running more difficult. Any other thoughts on this, feel free to comment. Virgin America flight 626 to San Francisco. No turning back now. Part 2 coming soon. Stay posted.